Lighthouse X consists of three young guys who have come together united by music. Lighthouse X is a pop group with a mission, that is created not only for playing concerts and recording in the studio, but presents a different way of thinking. They are a band that through the music takes social responsibility in a way that nobody has done before. Lighthouse X represents a whole-hearted attempt at making a positive difference in the world. At inspiring attentive conversations in which we truly listen to one another. At establishing dialogue that makes us open up for all the things that excite us and scare us. The songs aim on creation of the space for understanding and respect for each other. The goal is to harvest the power of music to make us all talk through our hearts, to make sure we share our thoughts and to create space and respect for each other. Their entry for this year's Eurovision Song Contest, Soldiers of Love, is their battle hymn as they fight to make the world a slightly better place through the power of music. 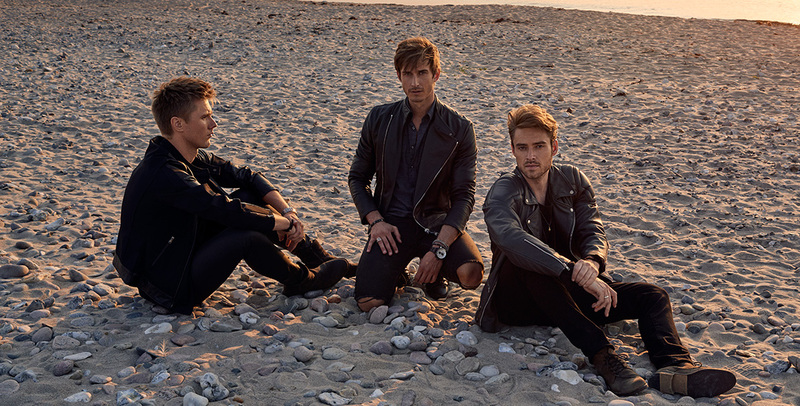 Lighthouse X won the Danish contest with a staggering 42% of the votes in the final, and the three members – Søren, Johannes and Martin – are hopeful that their message will resonate all across Europe. Lighthouse X consists of three artists who have come together in a strong fellowship. They believe it is possible to create a band that thinks differently. Lighthouse X came together in the environment around Fredericia Theatre and The Danish Academy of Musical Theatre. Søren Bregendal, Johannes Nymark and Martin Skriver were all close friends when they decided to form Lighthouse X back in 2012. They realized they all shared the urge to make music with a strong, positive message, so they decided to join their musical forces and form a band. Together they have written and recorded a collection of songs with elegant arrangements and catchy vocal harmonies combining pop genre with classic elements. Their songs speak a nuanced and multifaceted language that can move, inspire and entertain everyone who love good pop music. When the clock hit midnight on New Year's Eve 2015, Lighthouse X performed on national TV, singing at the Opera House with the Copenhagen Royal Chapel Choir. In addition to the five original songs that Søren Bregendal has written lyrics and the music for, the band's self-titled debut EP (released in February 2015) also includes interpretations of two classics, namely Tusind stykker of Anne Linnet and Handel's aria Ombra Mai Fu, which in Danish is titled Mærk livets slag. In August 2015 band has released English language single "It's A Brand New Day". As the name suggests, Søren, Johannes and Martin wish to be a lighthouse that others can use for navigation – by being the change that they themselves wish to see in the world, while also inspiring and supporting other people who serve as guiding lights. Not least for this reason, every member of the band has selected a charity to which they will donate part of the profits. Søren supports Børn, Unge & Sorg - grieving children and young adults that have either deadly ill or recently deceased siblings and parents. Johannes supports Børnehjertefonden - children born with heart conditions, and Martin supports Julemærkefonden - marginalized and overweight children. All the members have had experiences that make it natural for Søren, Johannes and Martin to support these specific causes. And all three members support the fight for a more positive, respectful and empathetic dialogue in society. Lighthouse X also cooperate with the mobile company Call me's 'Tal ordentligt' movement that also want to strengthen the positive dialogue, inspire and create space for brotherly respect and care. Søren Bjørrild Bregendal (born 6 September 1983 in Hørsholm) - was born to be a pop star. As front man of C21 (1998-2005) he toured worldwide, sold hundreds of thousands of albums and received four gold plates. In addition to the success in Denmark, the group was also popular in Southeast Asia and especially Thailand . 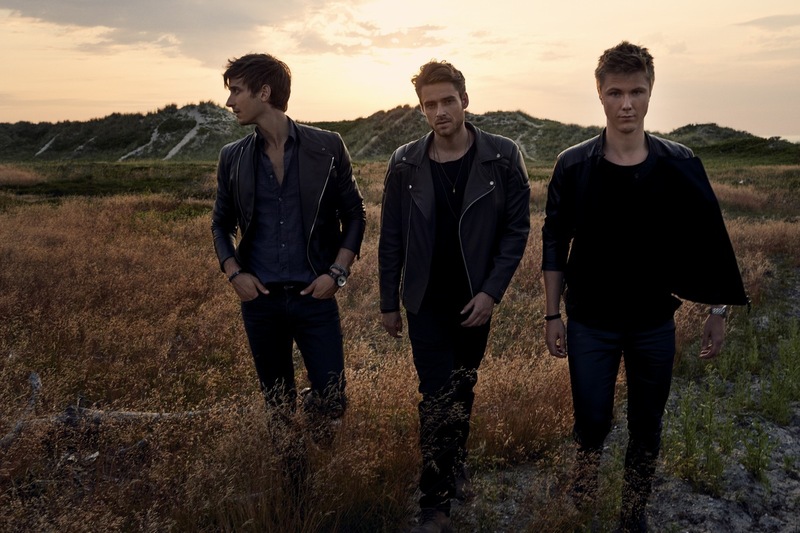 The focal point of success were hits such as She Cries, Stuck In My Heart and All That I Want, which was one of the most played Danish song on the radio in 2004. 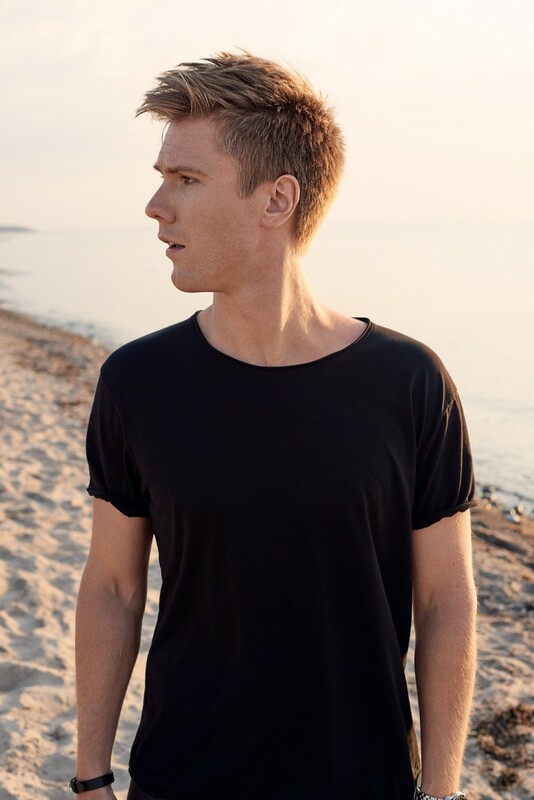 After C21, Søren has released as a singer solo album Life Is Simple Not Easy (2007), and as an actor took part in TV series 2900 Happiness (2007-2009) as well as third generation of filmes about Far til fire (2006-2012), as well as starred in the Reumert-winning High School Musical 2 production (2010). Søren is heavily involved in a variety of charities, all of which are designed to ensure children and young people a better life - including Børns Vilkår, Børnehjælpsdagen and especially Børn, Unge & Sorg, where he is project manager and professional fundraiser. More over, he has his own coaching practice, which also has a special focus on helping young people move on in their lives. The motivation to engage Børn, Unge & Sorg (Children, Youth and Grief) comes from Søren's own experiences with grief, anxiety and depression early in life. He knows how crippling it is not being able to express such feelings, which is why he wants to help children and young people in similar situations. Johannes Nymark (born 21 January 1986) can rightly be called one of Denmark's biggest musical stars. He graduated from the highly acclaimed William Esper Studio in New York, in addition to Johannes it's alumni have been likes of Jeff Goldblum, Larry David, Richard Schiff and Aaron Eckhart. He has also studied at The Danish Musical Academy in Fredericia - the city where he can feel at home. 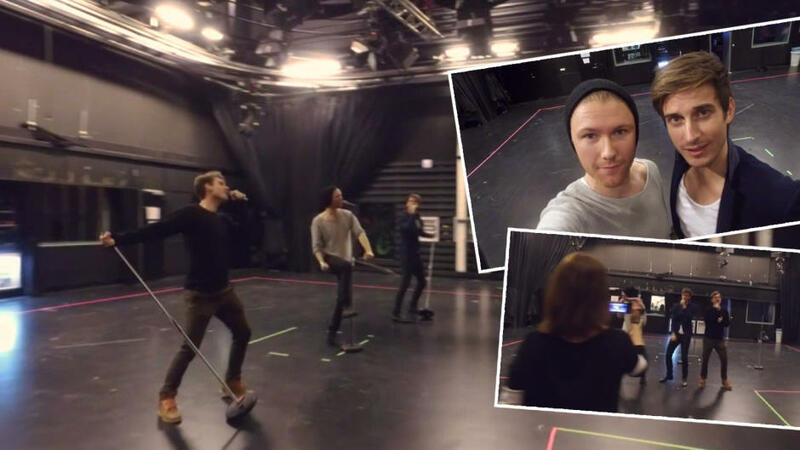 For it was at Fredericia Theatre, where in 2012 he got his big breakthrough when he played the title role in Disney's Aladdin, which was later presented in the Copenhagen Opera House. Additionally, he has had major roles in shows such as Les Misérables, Singin' In The Rain and Young Frankenstein, he also has credits for roles in movies Over kanten (2012), Hvidsten Gruppen (2012) and Steppeulven (2015). In 2014 he participated in Dancing with the Stars and finished in second place. Johannes supports charities dealing with heart diseases, as he himself has closely experienced what it is like not to take your heart function for granted - with both a mother who was diagnosed with heart problems, when Johannes was a teenager, and an uncle, who due to a heart defect passed away as the age of 27. Johannes is especially interested in supporting children and young people with heart diseases, who are struggling to get a completely normal life. Therefore, Johannes decided to support Børnehjertefonden (the Children's Heart Foundation). 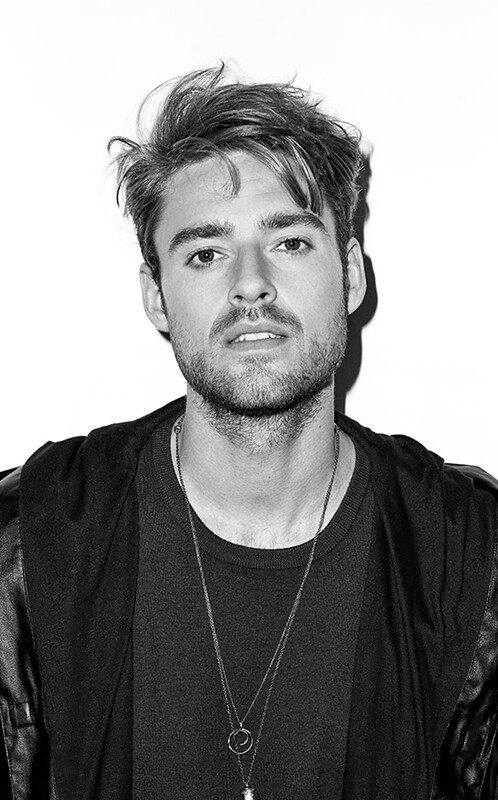 Martin Skriver graduated in 2013 from The Danish Musical Academy and he is already well on the way to establishing himself as one of the most important names on the domestic musical scene. His schedule has been fully booked ever since Martin was finishing his course. Although he is a recent graduate, Martin has many years of experience as a professional singer and actor. Even before he entered the Musical Academy, he debuted in 2008 on the professional scene in the show High School Musical, and it was where he met Johannes for the first time. His many credits include Fredericia Theatre's highly celebrated staging of the Den Lille Havfrue and Evita at Det Ny Teater. Later he was part of the Reumert-winning High School Musical 2, and there he met as Søren. The two acquaintances evolved into friendships, and in 2012 Søren contacted Martin with the desire to create music together. When Martin went to school, he experienced how obesity and bullying corroded on his self-esteem. Therefore, Martin has chosen to support the Julemærkefonden, which each year helps about 750 children aged 7-14 years. It is his desire to show children that they have a bright future awaiting them. 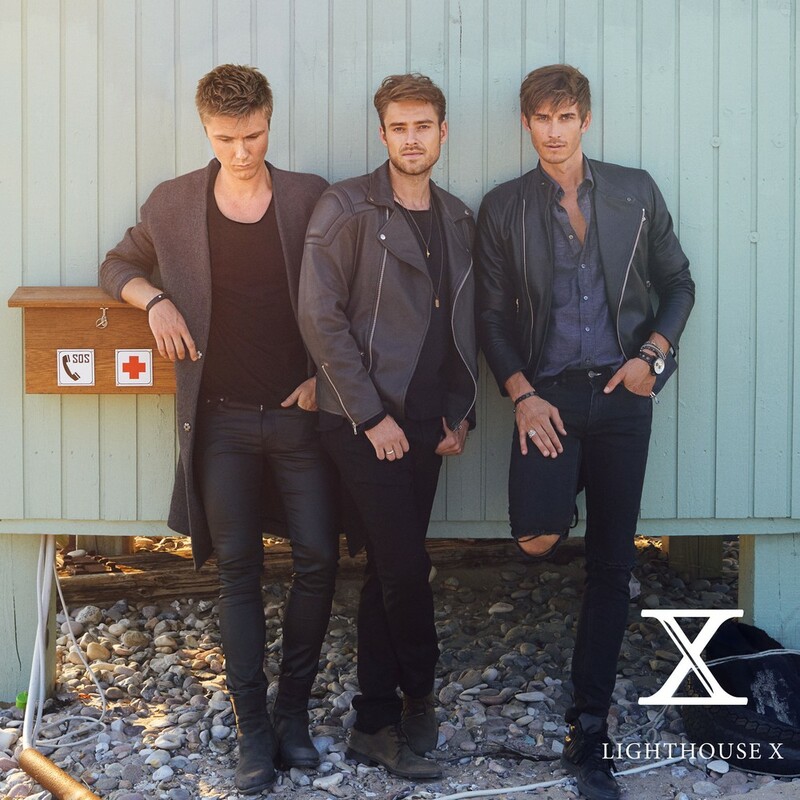 Lighthouse X is based on the belief that music can make a significant difference in the world. That music can open minds and hearts across all ages, genders and languages. That music can truly unite people. It is this belief in the power of music that is incorporated into their song Soldiers of Love, which led them to victory in the national song contest. Explaining how important the song is to Lighthouse X, the group states the following: "It is the quintessential Lighthouse X song. No other song captures our message of love and hope and our vision of a better world as strongly as this one. So it's a very important song to us, and when we perform it live, it feels truly empowering. We want to inspire everyone to be soldiers of love, and this is our battle hymn". The song was written and composed by Lighthouse X along with Sebastian F. Ovens, Daniel Lund Jørgensen and Katrine Klith Andersen, and it has a very strong source of inspiration: "It was written the day after the terrorist attack in Paris in November 2015. The song isn't explicitly about the attack, but the feeling of sorrow and despair we shared with our fellow European citizens stressed the need to write a song about unity and humanity – and how we have to fight hatred with love. It's the only way forward". To Lighthouse X, participating in the Eurovision Song Contest serves as a perfect way of communicating their positive message: "It's a platform of people coming together across all ages, genders, ethnicities and religious backgrounds, and along with this year's theme, Come Together, it corresponds perfectly with our core message. The Lighthouse X philosophy is universal – Denmark is not the only place that could need some more soldiers of love. The entire world is calling for an army like that". "What Eurovision Song Contest does the ​​best - it's uniting the people. And hopefully it brings us a little closer together. This is exactly why we have written "Soldiers Of Love", that is exactly what it is about, that we can make a difference together"
- How are your preparations going and what are you trying to concentrate on the most? - The stage in Globen is huge. So mostly, we are concentrating on making the show and the performance we made on the Danish Melodi Grand Prix fit the stage in Stockholm. The soul and the spirit we brought to the stage in Copenhagen means everything to us, and we will be focusing on bringing that to Stockholm on an even bigger scale. 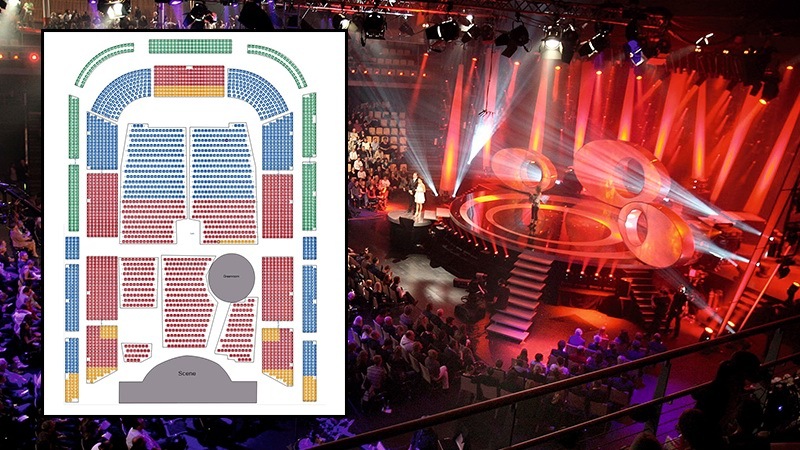 Our performance will be same as in the Danish Melodi Grand Prix except from the size of the show. It is of importance that we stay true to ourselves even though the venue is bigger and therefore we will have to push the right buttons to make entire Europe soldiers of love. - What do you find the most difficult for you in the Eurovision preparation process? - Well, that would be to balance between making our performance great but still stay true to ourselves and our performance at the Danish Melodi Grand Prix. - We have seen some footage from your rehearsals, and it seems you will be doing some walk around on the Eurovision stage to use the catwalk? - Yes. We want to use the stage in the best possible way. We have seen the drawings of the stage and the stage will be reaching out to audience with a catwalk. We want to get as close to our audience as possible and that's why we will be using the catwalk. - Can you please introduce who is working for you as the stage director / choreographer of your performance? - Her name is Birgitte Næss Schmidt and Johannes knows her and has worked with her before. She's very talented. - Will you be using help of backing vocalists for it? If so, can you please introduce them? - Yes, we will. Three guys. Martin: Actually, as I grew up and wanted to learn how to sing, two of the guys were my inspiration and motivated me. And the last member of our backing vocalists is also our vocal coach. - We've seen on your Facebook there are some changes in your outfits coming as well. Who is working on your image and outfit design and what would you like to wear on the big night? - The person in charge of our outfits is called Jon and he's from DR. The largest television and radio station in Denmark. We spent a lot of time on figuring out what to wear in the preparation process for the Danish Melodi Grand Prix and the outfits that we wore there reflect what we wanted to say and what we wanted to be on stage. That's why there will only be some minor changes in our outfits if any at all. - That's a tricky question. Eurovision has many good entries to offer this year. We haven't consistently been listening to the songs but from what we have heard the Eurovision Song Contest will be exciting and thrilling right till the end. Also, we don't want to listen too carefully to the songs, as we want the full experience in Stockholm. The atmosphere, the song and of course the stage performance will all be a great surprise if we don't know much about it before the shows begin. - Are you working on any other music at this moment, any chance to see the album release soon? - What is next after the Eurovision for you? Any performances already planned? - We have some gigs planned throughout the summer. Most of them will be on various Danish festivals. - Finally, can you give a message to everyone who will be reading this interview? - Hi everyone. We are looking so much forward to seeing you all in Stockholm or through your screens. We are looking forward to feel how Stockholm will be one united people. A community of Eurovision lovers. And of course we hope to make you all become soldiers of love. We hope to create an army of soldiers of love. Join our vision. - Thanks for talking to us, good luck with your preparations and see you in Stockholm. - You're very welcome. 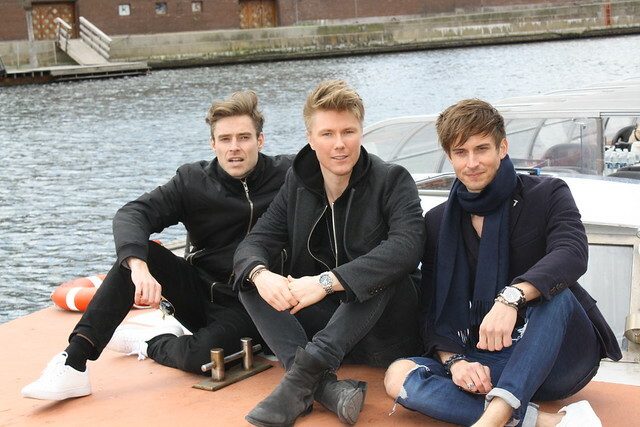 Before Lighthouse X travel to Stockholm to represent Denmark at the Eurovision Song Contest, the press was invited to join the band for an exclusive press meeting: A canal cruise with Søren Bregendal, Johannes Nymark and Martin Skriver. The cruise around the channels of Copenhagen started in front of The National Bank. ESCKAZ team alongside with a local press have witnessed the band performing unique, unplugged version of Soldiers of Love. The song holds a very special place in the hearts of the three members, as explained here by Søren Bregendal: "It is the quintessential Lighthouse X song. No other song captures our message of love and hope and our vision of a better world as strongly as this one". "Lighthouse X was formed on a belief that music can make a difference. That music can open minds and hearts across all ages, genders and languages. That music can truly unite people. And it is this belief that Lighthouse X are bringing with them to Stockholm, and which they wish to share with the many millions of Eurovision fans across the continent – so that we can all become Soldiers of Love"
On April 25th at 8pm, Lighthouse X will deliver a special and intimate show. It will be live-streamed online, making it possible for everyone to attend the show in the comfort of their own home – completely free. 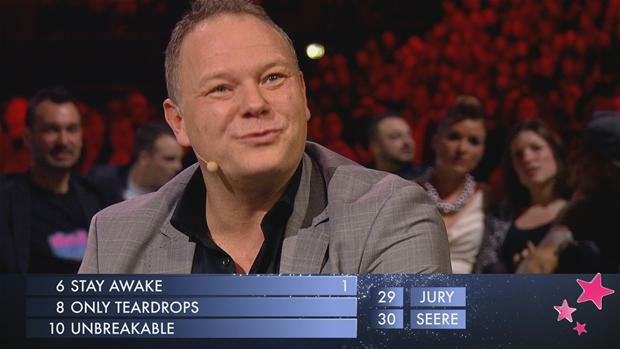 During the show, the audience can ask the Danish representatives of the Eurovision Song Contest questions, which they will answer live. Before Lighthouse X travel to Sweden and participate in the grand show, they are inviting everyone to join them for a quite different performance – an intimate concert. And it will not be the regular kind of intimate show, as it will be live-streamed, allowing everyone to attend the concert in the comfort of their own home – completely free. The show takes place on April 25th at 8pm, and fans of the band can look forward to experiencing the band play their most popular songs in the very special setting. The concert can be experienced through this link – please note that registration is required to gain access.It will also be an interactive experience for the audience, as they can ask Søren, Johannes and Martin questions during the show, which they will answer lively. The Lighthouse X members will also share both fun and moving stories. "We are really looking forward to trying out this format, as it is both very intimate and far-reaching all at once," Søren Bregendal explains and continues: "It will be an exciting and challenging contrast to the big Eurovision performance, which we are also busy preparing for. It will be a back to basics performance, and I think that's healthy for us. And regardless of the format, our mission always stays the same – to make a positive change through music, because we have an honest belief that music can unite people in a way that no other ways of communication can". After their victory in the DR Grand Prix back in February, Lighthouse X band in collaboration with the DR worked intensively to polish stage presentation of their entry to perfection. Dr.dk has attened today one of the rehearsals of the band held in DR Byen. "Everyone is happy", says singer Søren Bregendal after the group's final screening of their new stage show. The stage presentation, according to the band members, has been spiced up since Grand Prix victory in Horsens. "We have spiced it up a bit as it's been a little fatter", says Martin Skriver about the new stage show. The group retains the luminous microphone stands from their appearance in Horsens, but additionally gets few surprises up in its sleeve. Watch part of the rehearsal here. Lighthouse X have released the official Questions and Answers with the band members, which we're presenting to our readers. - Who are the three guys in Lighthouse X? 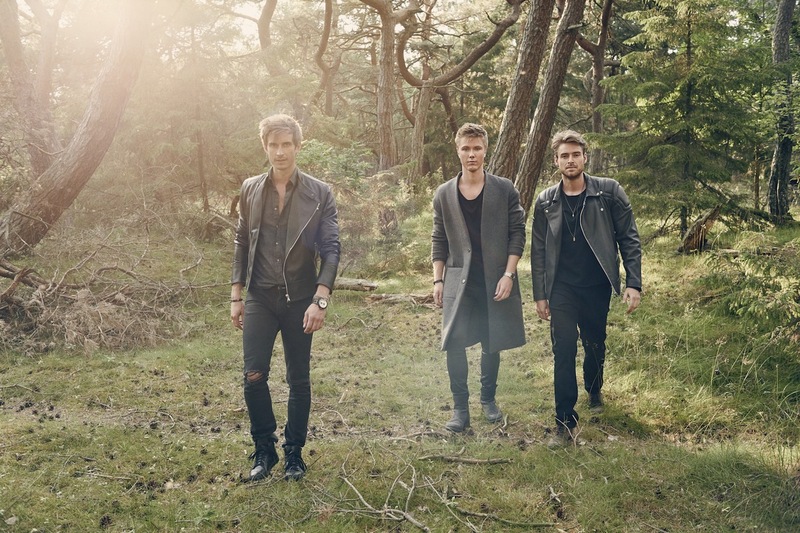 - We are Søren Bregendal, Johannes Nymark and Martin Skriver – three actors, singers and songwriters with a shared passion for powerful pop music. Søren is a natural-born pop star, who toured the world with his former band, C21. Since then he has released an album as a solo artist and worked as a critically acclaimed actor and stage performer. Johannes works as an actor on film, TV and stage. He has performed in some of the biggest musicals in Denmark and played leading roles in productions like Les Misérables and Singin' In The Rain as well as the title role in Disney's Aladdin. Martin graduated from the Danish Musical Academy in 2013 and has established himself as one of the genre's rising stars through roles in The Little Mermaid and Evita. - How did you guys get together? - We were already good friends when we decided to join forces and start a pop group together. This was back in 2012. We had realized that we didn't only share a love for pop music but also the urge to make music that carries a strong, positive message. And that's how Lighthouse X was born – out of our desire to create pop music with the power to help others, especially young people, and to make the world a slightly better place. - What is the story behind your band name? - A lighthouse serves as a guiding light, and that is a very inspiring metaphor for us. We would like to be a guiding light for others as well as support all those out there, who already are shining brightly. What we do is trying to be the change we want to see in the world. It's not always easy, but we all have to try. By the way, the ‘X' is pronounced ‘ten', and not like the letter. It's the roman number, and we picked it because, according to mythology, it symbolizes an integration of masculine and feminine energy. Of balance and diversity. - What are the various causes you are individually dedicated to? - Søren supports grieving children and young adults that have either deadly ill or recently deceased siblings and parents. Johannes supports children born with heart diseases, and Martin supports marginalized and overweight children. We have all had experiences that make it natural for us to support these specific causes. As a child, Søren suffered from quite severe OCD and anxiety. Johannes' mother has a heart disease, which greatly affects him and his family. And Martin used to be overweight and was a victim of bullying in school. So we feel strongly about all these causes, and we are happy that we are able to bring extra attention to them through our music and performances. - Like all artists, we find great inspiration in our own lives and experiences. And since we've all been through a lot in life, there is a lot of material to draw from. But we also find great inspiration in the causes we support, our fans and all the people we meet through our work. Every heartfelt attempt at making the world a better place is inspirational to us. Sure, there is a lot of negative energy in the world. But there is definitely also a massive amount of positive energy out there, and every time we encounter it, we try to harvest it and use it – as songwriters, as performers and as human beings. - Why did you decide to submit a song for the Melodi Grand Prix? - To us, both the Danish Melodi Grand Prix and the Eurovision Song Contest represent platforms of people coming together across all ages, genders, ethnicities and religious backgrounds. And this – along with this year's theme of Come Together – corresponds perfectly with our core message. So when we felt that we had a song that was both fitting and good enough to enter into the competition, it was the obvious thing to do. The Danish Melodi Grand Prix was perfect for us, as it allowed us to make more people aware of the causes we support. - What is the story behind Soldiers of Love, and what does it mean to you? - It is the quintessential Lighthouse X song. No other song captures our message of love and hope and our vision of a better world as strongly as this one. So it's a very important song to us, and when we perform it live, it feels truly empowering. We want to inspire everyone to be soldiers of love, and this is our battle hymn. - What are the three most interesting aspects about your entry? - 1. It was written the day after the terrorist attack in Paris in November 2015. The song isn't explicitly about the attack, but the feeling of sorrow and despair we shared with our fellow European citizens stressed the need to write a song about unity and humanity – and how we have to fight hatred with love. It's the only way forward. 2. We almost didn't make the deadline, because we wanted to make the song and its production as perfect as possible. The final master was sent off the same day that the album featuring all the Danish entries was going to print. It was a close race, and we're quite happy we made it! 3. With this song, we wanted to sum up what we've been doing for the last four years. It defines what the Lighthouse X philosophy is all about. We really need more soldiers of love. In fact, that's all we need! 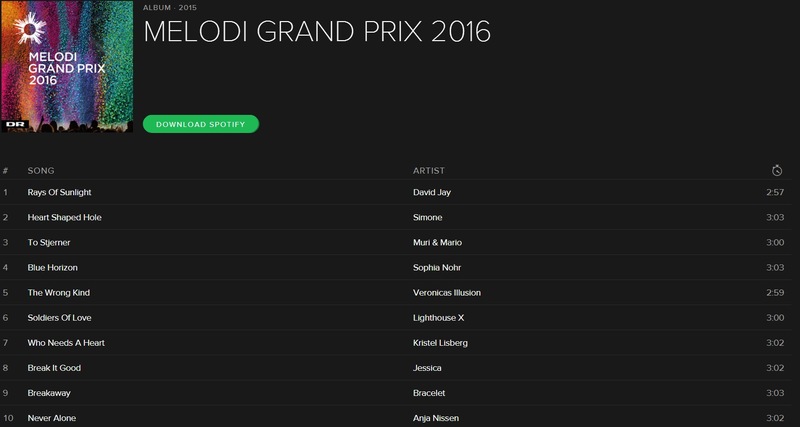 - Which of the other entries for this year's Danish Melodi Grand Prix was your favourite? - Anja Nissen and her song Never Alone really caught all of our attentions. It's a really good song performed by an absolutely amazing singer. Bracelet and their song Breakaway also stood out as a favorite. - Did it relieve some pressure that you were not favorites to win the Melodi Grand Prix? - Sure. But the truth is, we never really went into it with the mindset of entering a competition. Above anything else, we saw it as a chance to tell our story and to perform a song that we were all really excited about. And that helped relieve pressure more than any other factor. - If you'd been told a week in advance that you were going to win the Melodi Grand Prix and thereby get to represent Denmark at the Eurovision Song Contest, what would you have said? - We wouldn't have believed whoever was telling us that! But it probably wouldn't have changed things too much. Without knowing that we would win, we still went into it with everything we had, and that is always our approach, regardless of the context we perform in. - How have the days following your victory been? - They have been both hectic and amazing. We've all been very tired, but we're also very, very happy. All the positive energy from a victory like this really helps to keep you going. - What is the plan for the coming months and the rest of 2016? - Preparation, preparation, preparation! We will do everything we can to optimize our performance as much as possible. On top of that, we will be playing shows and focusing on the various causes we support. So in that sense, it's not all that different from what we've been doing for the past four years. We are eager to help make the world a slightly better place, and we believe that we will be able to fulfill that goal if we all stand together, rather than going at it alone. So hopefully the Lighthouse X community will grow bigger and stronger throughout 2016. - Are you going to promote your song abroad? - We hope that people will show an interest in us internationally, allowing us to let our song and our message reach far. So, yes! The Lighthouse X philosophy is universal – Denmark is not the only place that could need some more soldiers of love. The entire world is calling for an army like that. So if we can help inspire some of our brothers and sisters in Europe to think more with their hearts, we will do everything we can to contribute to that. - Do you plan to record any other version of your entry? - If we have time, we would like also to record unplugged version of it. - Do you have any details and ideas for your performance on stage? - We will definitely have a little surprise that wasn't part of our performance, when we played in the national contest. But everyone will have to wait and see what it is! Other than that, we feel that it's our duty to simply have as much fun as possible, when we're up on that stage. It's our second home, and we are ecstatic to be sharing this experience with Eurovision fans all across the continent. - What will make you stand out in Stockholm? - With any luck, we'll be the only all-male three-piece pop group there! But other than that, it's not too common for Eurovision songs to have an explicit message in the way that our song does. So we'd like to think that our song and its message are both so strong, that we will manage to stand out. - No boy band has ever won the Eurovision Song Contest. What makes you think that you could be the first one? - Actually, we don't refer to ourselves as a boy band. It's of course completely okay and understandable that other people do, given the constellation of the three of us, and our style of music. But to be honest, we feel too old to be considered a boy band! Plus, with the work we do and the whole reason why we started this group, we feel that there's a lot of things that sets us apart from the typical boy band. - Do you have a lucky routine before you go on stage? - We gather together, look at each other, deeply in the eyes, as we agree to have fun and to sing from the heart. - What is the standout moment from the history of the Eurovision Song Contest for you? - We all agree that the biggest moment was when the Olsen Brothers won in 2000. That was truly a huge and historical moment in Danish music history. Fly on the Wings of Love is an amazing pop tune, and it was just such a great night altogether. On Saturday night boy band Lighthouse X won Dansk Melodi Grand Prix with the song 'Soldiers of Love'. DR entertainment manager Jan Lagermand Lundme started thinking on the Eurovision strategy right after the end of the show. "I think it was a really good show, and so it is indeed a great song that won. 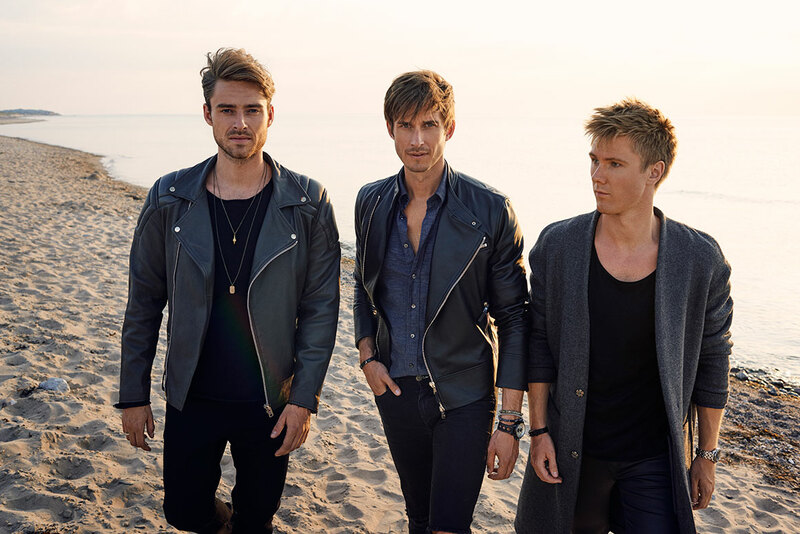 The most wildest thing is that nobody saw it coming, bookmakers were also shocked by it, and this is what makes the show so exciting", says Jan Lagermand Lundme and concludes: "The Danes have spoken and they have sent Lighthouse X to the Eurovision". 1.563.000 viewers watched the show with a share of 66,6%. He has no doubts that the three pop-princes will do well on the international Eurovision stage. 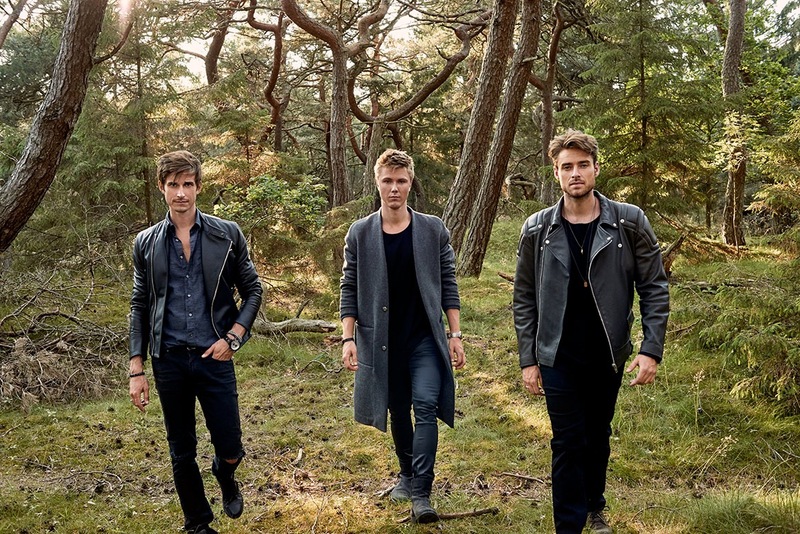 "When the boys are on stage, everyone loves them because they have the coolest charisma, and their song is also modern and catchy", says Lundme. Now begins a time of hard work for the boys on their preparations. "First, they will do a press tour to share their song. We will also be optimizing the stage performance. We will not be changing the song itself, but the performance is something we need to look at. We need to sit together and think on that, hopefully we will all come in agreement", says Lundme. "It is important to be mentally prepared for the performance in front of 100 million viewers. But we have enough time to work on everything". 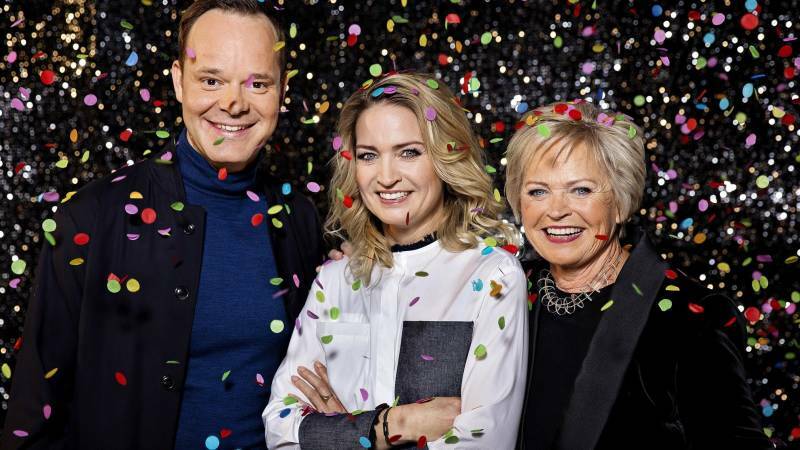 Danish broadcaster DR once again has chosen it's Eurovision Song Contest entry through the national preselection DR Grand Prix. Regulations have been published on 30 June. New music producer of DR Grand Prix Cutfather promised to return the contest to this country, which hosted the event a year ago. Cutfather (Mich Hedin Hansen) previously worked with such artists like Kylie Minogue, All Saints and Blue. One of his tasks he considered to be an improvement of collaboration with local Danish composers. "In Denmark there is professional songwriting environment, professional approach to the music. Our aim is to motivate and encourage local songwriters to get actively involved in Grand Prix. We need to explain to them this is a perfect platform for promotion and creation of a real hit". Cutfather was co-working on the project alongside music producer Jonas Schrøder, who is working with DR Grand Prix since 2013. "Previously, I was a member of the national jury, so I have a good understanding of what people will be voting for. I hope to be able to find the exact song that will help us to reach the only possible goal at Eurovision - to win!" As usual, besides directly invited songwriters, part of the national final entries was chosen from the list of public submissions, which could have been entered online at DR site till 7 September. For the participation, either composer or songwriter or artist should have had close ties with Denmark (be citizen, resident of Denmark, married with Danish citizen etc). Residents of Faroe Islands were also allowed to participate. Submitted entries should not have been longer than 3 minutes and should have never been presented to the public in any way till the national selection time. DR should have been informed immediately if the composition has been published earlier and it is up to DR to decide if the composition can join the competition. Submitted entries were evaluated by a special committee and while listening, members of the committee were not informed on the names of songwriters or performers. A total of 10 songs took part in the competition. DR has chosen the soloists to perform the songs in consultation with the copyright owners. The soloists has to be selected mid-November 2015 at the latest. In case of disagreement, DR's choice(s) was to take precedence. The titles of the compositions, the names etc. of the composers and song writers were published by DR in a press release or at a press meeting when all copyright owners have been contacted and binding agreements have been made. At the Danish National Song Contest 2016 the compositions should have been performed as singback – i.e. without live bands, but with taped instrumental music and chorus. At ESC 2016 all vocals including chorus must be 100 % live (no sampling etc. of vocals). Recording of singback tapes was made by agreement with DR. All artists must be at least 16 years old on the broadcasting date. DR had the final say in the production of the TV show and the performance of the compositions. This applied to the fields of orchestration, stage props, cameras, lights, choreography, monitor, PA and TV sound, costumes, styling, etc. Marketing and press work was coordinated by DR's press division. Selected soloists etc., in the Danish final were not obvious candidates to represent Denmark at the Eurovision Song Contest 2016. DR was to decide in consultation with the copyright owners which soloists etc., were to contribute to the Eurovision Song Contest 2016. A record number of 982 entries had been received for the participation in the competition, beating previous record of 872 in 2014, when Denmark hosted the Eurovision. The number of submissions for DR Grand Prix is constantly rising from 200-300 figures in 2004-2006 to 400-500 in 2007-2010 and to 600-700 in the recent years. 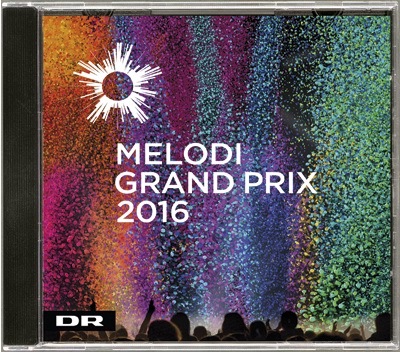 The original plan was to announce the name of the finalists on 28 January, and on the same day all songs were to be released on DR website with the official Melodi Grand Prix 2016 compilation album to be released on 29 January. However, on 10 January all songs have been mistakenly released on Nordic Spotify version. You can listen to the songs here as well. Instead, DR had organized meet&greet session with the participants on 13 January, 17:00 CET, while presenters of the show were revealed on 18 January at press-conference at Bytorv Horsens at 14:00 CET. Among participants were Danish Australian Anja Nissen, who won The Voice in Australia back in 2013, and has since released several successful singles down under, two former X Factor contestants, Sophia Ziegler, who was seventh in the X Factor in 2015, while Kristel Lisberg took part in the competition in 2012, and Simone, who finished third in the DMGP in 2010 and 2013. "Of course it's a shame that the entries have been leaked as we have been planning different strategy of introduction songs and artists", said project leader Jan Lagermand Lundme. "However, it changes nothing in regards to the competition, because all 10 songs were released at the same time". He explained the leak with a human error. "It went wrong because there was an employee at Sony label, who in some data submitted to Spotify wrote 2015 instead of 2016". It is not the first time Danish entries are leaked prematurely, it happened last year when CD went on sale earlier in several stores, in 2012 song of Tine Lynggaard was disqualified for breaking release date and in 2009 songs were also released prematurely. "I can not promise that it will never happen again, because human errors can be made. On the other hand I am sure that the winner of Eurovision 2016 is among this year's 10 entries. I do not think we have ever had a stronger starting field". There has also been an issue with the entry by Anja Nissen which has been publicly performed by it's songwriter Emmelie De Forest at several concerts around Denmark, including Nibe Festival in 2014 and over ten other places. However, based on the current EBU regulations, DR has decided that this doesn't give an entry an advantage in the competition. "Because there are 2000 people who have heard it, so I do not think that it distorts the competition, and I must again say that because a song has been performed before, it does not automatically mean that it is disqualified according to the current rules", said Lundme. "We have contacted EBU to be 110% sure and they have made the judgement that the song can continue in Melodi Grand Prix – and also in Eurovision should it win on the 13th of February". 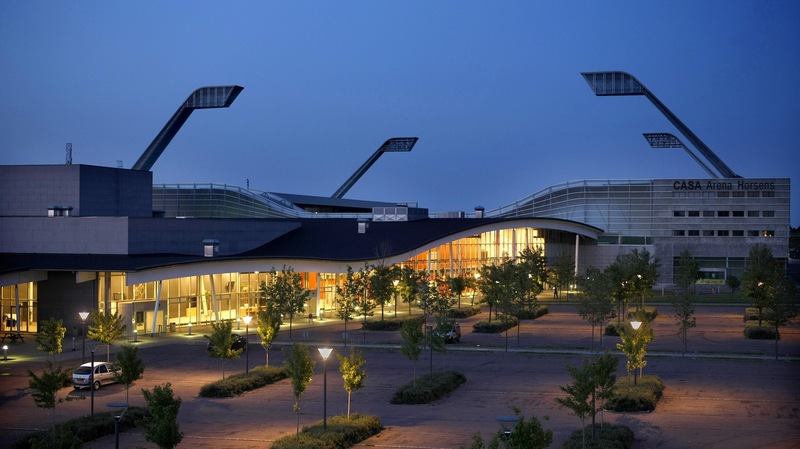 Denmark has chosen its representative for the 2016 Eurovision Song Contest during DMGP final, which took place on 13 February in Horsens' Forum. Forum has a capacity of 3,600 people. Earlier, the venue hosted Melodi Grand Prix 4 times (the latest was in 2008), as well as concerts of Depeche Mode, Neil Young, Dolly Parton and the Austrian 'king of schlager' Hansi Hinterseer. Tickets for the show (priced 295 DKK (restricted view) - 395 - 495 - 595 DKK) went on sale on 2 November and on 10 November show was declared as sold out. Tickets for the dress rehearsal are also available. The show was hosted by Jacob Riising who is on this duty since 2014, Annette Heick, who took part in 1991 and 2007 and her mother Hilda Heick (part of Keld & Hilda duet) in Greenroom. Special guest act was Eurovision Song Contest 2012 winner Loreeen. 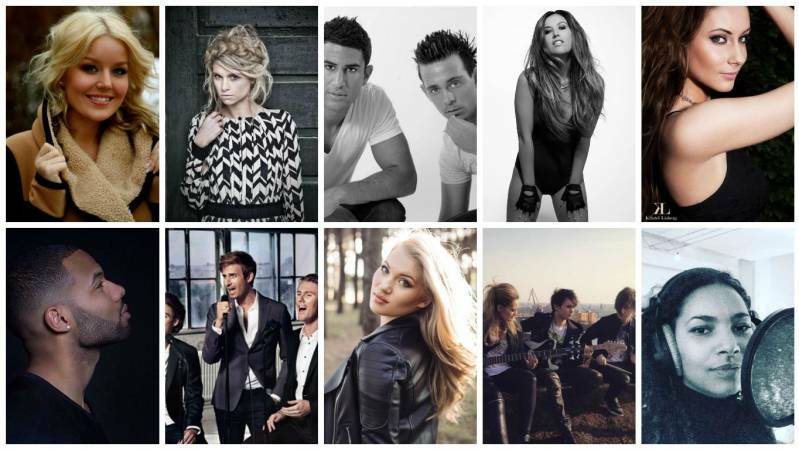 This year, Dansk Melodi Grand Prix was back to the system from 2009-2011 - a final without points. Everyone could vote from the show's beginning either by SMS or with the new app that DR has introduced. Viewer votes were then merged with the voices of the five-man jury on 50-50 base. Together they have selected which three songs were to move to the competition's second and decisive round. In the superfinal, the three most popular songs were performed again, and this time it's only the viewers who have decided the outcome - again with SMS voting or via the app. 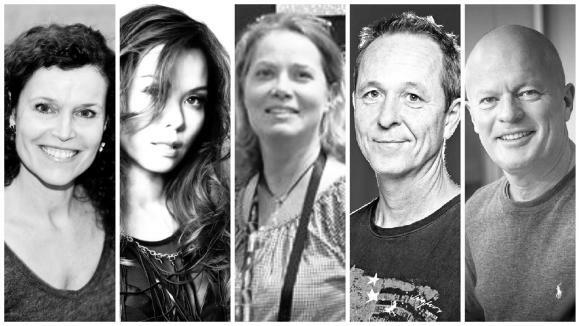 This year's Grand Prix jury were: Choreographer Vicky Leander; Member of Grand Prix fan club, Mette Thorning Svendsen; Eurovision participant Christina Chanée; Songwriter of "Satellite" John Gordon; and radio host Dennis Johannesson. "I'm looking for a song that stands out. You should feel something when you hear it. One should quickly be able to sing along to it, dance to it or cry for it. In short, the song should get stuck in the cerebral cortex", said Vicky Leander. "For a song to work it also requires a good performer with empathy, charm, a great voice and a twinkle in his eye. And then of course I also hope that the visual power is good and stands out". "I will definitely take the international glasses on when I need to give my points. I am looking for a song that I think can go all the way - also outside Denmark", explained Christina Chanée. "Melody line should catch from the very first time, the text must be super catchy, and the scheme should be fit beautifully together. It is very important that it is a solid performance with strong vocals and good charisma". On the same day Johann Sørensen was disqualified from the jury. Speaking to Metroxpress newspaper earlier, he highlighted chances of Simone to win national final with Muri & Mario to finish in the top 3. Later Sørensen clarified that he never claimed Simone will be the winner of the final, but just noted her being favourite of polls and bookmakers, adding that her song has international appeal being high rated by foreign fans as well. He was replaced in the jury by fanclub member Mette Thorning Svendsen. Группа Lighthouse X состоит из трех молодых парней, которых объединила музыка. Lighthouse X - это группа с особой миссией, созданная не просто для игры на концертах и работы в студии, а представляющая новый способ мышления. Это - группа, которая посредством музыки принимает на себя социальную ответственность в таком виде, как этого не делал еще никто. Цель песен группы - дать всем возможность и храбрость говорить о различных вещах - как о тех, которые радуют, так и о тех, которые пугают. Создать вдохновляющие внимательные беседы, в которых мы будем по-настоящему слышать друг друга. Песни коллектива стремятся помочь создать пространство взаимопонимания и уважения друг к другу. Задача состоит в том, чтобы благодаря силе музыки, заставить нас всех говорить сердцем, делиться нашими мыслями, и добиться взаимопонимания и взаимоуважения. Их песня для Евровидения этого года - Soldiers of Love (Солдаты любви) - это военный гимн в борьбе за то, чтобы сделать наш мир лучше при помощи музыки. Lighthouse X победили на датском национальным отборе с оглушительными 42% голосов, и три члена коллектива - Сёрен, Йоханнес и Мартин надеятся, что их посыл так же будет воспринят и во всей Европе. Lighthouse X появилась в среде, окружающей Театр Фредерисии и Датскую Академию Музыкального Театра. Сёрен Бергендаль, Йоханнес Нюмарк и Мартин Скривер все уже были близкими друзьями, когда решили основать группу Lighthouse X в 2012 году. Все они разделяли сильное желание создавать музыку с мощным, позитивным посылом, и потому решили объединить свои силы и создать группу. Вместе группа написала и записала несколько песен, которые своими элегантными аранжировками и захватывающими вокальными гармониями совмещают поп жанр с классическими элементами. Их песни говорят многогранным языком, который способен воодушевлять и развлекать всех, кто любит хорошую поп музыку. Когда часы пробили полночь в Новогоднюю ночь 2015, Lighthouse X выступали на национальном телевидении, пели в Оперном театре вместе с Хором Копенгагенской Королевской Часовни. Помимо пяти оригинальных песен, к которым Сёрен Брегендаль написал тексты и музыку, дебютный EP группы (выпущенный в феврале 2015 года) также включает в себя интерпретацию двух классических произведений - Tusind stykker Анны Линнет и арию Генделя Ombra Mai Fu, которая на датском получила название Mærk livets slag. В августе 2015 года группа выпустила англоязычный сингл "It's A Brand New Day". Как подчеркивает название группы, Сёрен, Йоханнес и Мартин хотят стать тем маяком, который бы озарял светом путь для других, освещая те изменения, которые они хотели бы произвести в мире, а также вдохновляя и поддерживая других людей, которые также служат путеводными огнями. Не в последнюю очередь по этой причине, каждый из участников группы выбрал благотворительную организацию, в которую он перечисляет часть своих прибылей. Так, Сёрен выбрал Børn, Unge & Sorg, и поддерживает страдающих детей и молодежь, которые либо тяжело больны сами, либо недавно потеряли родителей или близких родственников. Йоханнес в Børnehjertefonden поддерживает детей с врожденной болезнью сердца, а Мартин в Julemærkefonden поддерживает маргинализованных детей и страдающих избыточным весом. У каждого из участников группы был личный опыт, который привел их к поддержке этих фондов. Все три члена коллектива также поддерживают борьбу за установление более позитивного, уважительного и чуткого диалога в обществе. Lighthouse X также сотрудничают с кампанией мобильного оператора Call me 'Tal ordentligt', которая нацелена на усиление позитивного диалога, вдохновление и создание пространства для братского уважения и заботы. Сёрен Бьоррильд Брегендаль (родился 6го сентября 1983 года в Хёрсхольме) - был рожден, чтобы стать поп-звездой. В качестве солиста группы C21 (1998-2005), он гастролировал по всему миру, продал тысячи альбомов и получил четыре золотые диска. В дополнение к своему успеху в Дании, группа также была популярной в Юго-Восточной Азии, и особенно в Таиланде. Итогом успеха группы стали такие хиты, как She Cries, Stuck In My Heart и All That I Want, которая была одной из самых ротируемых песен на датском радио в 2004 году. После C21, Сёрен в качестве исполнителя выпустил сольный альбом Life Is Simple Not Easy (2007), а как актер принял участие в телесериале 2900 Happiness (2007-2009), третьего поколения фильмов о Far til fire (2006-2012), а также принял участие в постановке мюзикла High School Musical 2 (2010), ставшей обладателем премии Reumert. Сёрен активно принимает участие во множестве благотворительных организаций, которые нацелены на то, чтобы обеспечить детям и молодежи лучшую жизнь - включая Børns Vilkår, Børnehjælpsdagen и, в особенности, Børn, Unge & Sorg, где он является руководителем проекта и профессиональным фандрайзером. Помимо того, он имеет собственную практику коучинга, которая факусируется на помощи молодым людям в их жизни. Мотивация поддержать Børn, Unge & Sorg (Дети, молодежь и печаль) происходит из собственного опыта Сёрена, пережившего горе, тревогу и депрессию в молодости. Он знает, как сложным бывает не иметь возможности выражать собственные чувства, и именно поэтому он хочет поддержать детей и молодежь, попавших в подобные ситуации. Йоханнес Нюмарк (родился 21го января 1986 года) может по праву быть назван одной из главных звезд музыкального театра Дании. Он получил образование в широко известной Студии Уильяма Эспера в Нью-Йорке, выпускниками которой также были Джефф Голдблюм, Ларри Давид, Ричард Шифф и Аарон Экхарт. Он также учился в Датской Музыкальной Академии в Фредерисии - городе, где он может чувствовать себя как дома. Ведь именно в театре Фредерисии в 2012 году к нему пришел первый прорыв, когда он сыграл заглавную роль в Алладине Диснея, который позднее был показан в Копенгагенской Опере. Помимо того, он исполнил главные роли в таких постановках, как Les Misérables, Singin' In The Rain и Young Frankenstein, а также снялся в таких кинофильмах, как Over kanten (2012), Hvidsten Gruppen (2012) и Steppeulven (2015). В 2014 году он принял участие в программе Танцы со звездами, и занял второе место. Йоханнес поддерживает благотворительные организации, помогающие пациентам с болезнями сердца, поскольку ему самому пришлось столкнуться с тем, что у его матери были диагностированы проблемы с сердцем, когда Йоханнес был подростком, а его дядя скончался от порока сердца в возрасте всего 27 лет. Йоханнеса особенно интересует поддержка детей и молодежи с болезнями сердца, которые испытывают трудности в том, чтобы вести нормальную жизнь. Потому, Йоханнес решил поддерживать Børnehjertefonden (Фонд Детских Сердец). Мартин Скривер закончил в 2013 году Датскую Музыкальную Академию и сейчас находится на пути к тому, чтобы стать одним из самых успешных имен национальной музыкальной сцены. Его график был переполнен мероприятиями еще с момента, когда Мартин заканчивал обучение на свое курсе. Несмотря на то, что он лишь недавно получил диплом, он уже обладает многолетним опытом в качестве профессионального певца и актера. Еще до поступления в Академию музыки, в 2008 году, Мартин дебютировал на профессиональной сцене в шоу High School Musical, где и познакомился с Йоханнесом. Среди его прошлых работ, участие в популярной постановке театра Фредерисии Den Lille Havfrue и Evita в Det Ny Teater. Позднее он принимал участие в постановке High School Musical 2, где и познакомился с Сёреном. Два знакомства перешли в дружбу, и в 2012 году Сёрен предложил Мартину заняться совместным написанием музыки. Когда Мартин ходил в школу, то на себе испытывал, как излишний вес и издевательства со стороны сверстников, влияют на его самооценку. Потому, Мартин решил поддерживать организацию Julemærkefonden, которая ежегодно помогает около 750 детям в возрасте от 7 до 14 лет. Его желание заключается в том, чтобы показать детям, что несмотря ни на что, их ждет счастливое будущее. Группа Lighthouse X основана на вере в то, что музыка может изменить мир. Музыка может открывать сердца и умы вне зависимости от возраста, пола и языка. Музыка может по-настоящему объединять людей. И эта вера в силу музыки стала основой песни Soldiers of Love, которая уже принесла коллективу победу на национальном отборочном конкурсе. Объясняя, насколько эта песня важна для Lighthouse X, участники группы говорят: "Эта песня - квинтэссенция группы Lighthouse X. Никакая другая песня не передает наш месседж любви и надежды на лучший мир также сильно, как эта композиция. Это - очень важная для нас песня, и, когда мы ее исполняем вживую, мы чувствуем силу, исходящую от нее. Мы хотим вдохновить всех стать солдатами любви, и это наш военный гимн". Песня была написана участниками группы вместе с Себастьяном Ф. Оуэнсом, Даниелем Лундом Йоргенсеном и Катиной Клит Андерсен, последняя принимала участие в шоу X-Factor в 2012 году. Источник их вдохновения был довольно серьезным: " Она была написана на следующий день после террористических атак в Париже в ноябре 2015 года. Песня не посвящена им как таковая, но общее чувство печали и отчаяния, которые мы разделяли с другими жителями Европы, привели к желанию написать песню об единстве и гуманности - о том, что нужно бороться с ненавистью при помощи любви. Это - единственный путь вперед". Для Lighthouse X участие в Евровидение является прекрасной возможностью передачи их позитивного месседжа: "Это - платформа для объединения людей, несмотря на возраст, пол, этническое происхождение и вероисповедание. И это - наряду с темой конкурса этого года Come Together - идеально совпадает с нашим основным посылом. Философия группы Lighthouse X универсальна - Дания - это не единственное место на земле, которому требуются новые солдаты любви. Всему миру нужна подобная армия". "Конкурсу Евровидение лучше всего удается объединять людей. И мы надеемся, что он сблизит нас всех чуточку сильнее. Именно поэтому мы написали песню "Soldiers of Love", и именно об этом поется в ней - мы можем изменить мир вместе"
- Как продвигается ваша подготовка, и на чем вы пытаетесь сконцентрироваться прежде всего? - Сцена в Глобене просто огромная. Поэтому, наша главная задача сейчас сделать, чтобы наше шоу, которое мы подготовили для Датского Melodi Grand Prix подошло бы к сцене в Стокгольме. Дух выступления, которое мы показали на сцене в Копенгагене, очень важен для нас, потому мы сфокусируемся прежде всего на том, чтобы принести его в Стокгольм еще в большем масштабе. Наше выступление будет таким же, как на Датском Melodi Grand Prix, за исключением размера шоу. Для нас очень важно оставаться самими собой, даже несмотря на то, что площадка будет значительно большей, и потому мы должны будем повлиять на все чувства зрителей, чтобы сделать всю Европу солдатами любви. - Что для вас наиболее сложно в процессе подготовки к Евровидению? - Думаем, что это именно сохранение баланса между тем, как сделать, чтобы наше выступление выглядело идеально, но в то же время, мы оставались сами собой и верны нашему выступлению на Датском Melodi Grand Prix, за которое проголосовали зрители. - Мы видели некоторые отрывки ваших репетиций, и похоже, что вы будете больше передвигаться по сцене Евровидения, и также использовать подиум? - Да. Мы хотим использовать сцену лучшим возможным способом. Мы видели схему сцены, и она соединяется со зрителями посредством этого подиума. Мы хотим приблизиться к зрителям так близко, как это возможно, и потому мы решили также использовать этот подиум. - Можете ли вы представить того, кто работает с вами в качестве режиссера-постановщика / хореографа вашего номера? - Да, ее зовут Биргитте Несс Шмидт и Йоханнес знаком с ней и работал с ней ранее. Она - очень талантливая. - Будете ли вы использовать помощь бэк-вокалистов? Если да, то можете ли вы их нам представить? - Да, мы будем. С нами будут еще три парня. Мартин: Когда я был подростком и хотел научиться петь, двое из них служили мне вдохновением и мотивировали меня. И еще один член нашего хора - также является нашим педагогом по вокалу. - Мы также видели на вашей странице в Facebook, что у вас будут определенные изменения в костюмах. Кто работает над вашим имиджем и дизайном костюмов, и во что бы вы хотели быть одетыми во время вашего выступления? - Человека, который отвечает за наши костюмы зовут Йон и он работает на телеканале DR.
Мы провели много времени, пытаясь определиться, что мы можем одеть во время подготовки к Датскому Melodi Grand Prix, и костюмы, которые были на нас там - в полной мере отражали все, что мы хотим сказать, и все, кем мы бы хотели быть на сцене. Потому, в костюмах будут лишь минимальные изменения, если они в них будут вообще. - Было ли у вас уже время прослушать другие участвующие песни, можете ли вы кого-то выделить? - Это достаточно сложный вопрос. В конкурсе в этом году очень много сильных песен. Мы не слышали все из них, но даже те, что мы уже слышали, показывают, что Евровидение в этом году будет очень интересным, и будет держать зрителей в напряжении до самого конца. Мы также не хотим детально изучать все песни, потому что мы хотим пережить все это в Стокгольме. Атмосфера, песни, и, конечно же, сценические номера, станут для нас самих таким же сюрпризом, если мы не будем много о них знать до начала шоу. - Вы работаете над каким-то новым материалом в настоящий момент, планируете ли выпустить альбом? - Мы очень бы хотели создавать новую музыку и записать альбом, но у нас пока просто нет на это времени. Подготовка к Евровидению его занимает полностью. Каждый день и каждый час у нас возникает вдохновение на написание новых песен, но пока мы фокусируем всю свою энергию на Евровидении. - Какие у вас дальнейшие планы после конкурса? Запланированы ли уже какие-то выступления? - Да, у нас уже есть в плане несколько концертов на лето. Большая часть из них, правда, будет в различных датских фестивалях. - И, наконец, что бы вы хотели сказать всем, кто будет читать данное интервью? - Привет всем. Мы с нетерпением ждем возможности встретиться с вами в Стокгольме, или увидеться через экран телевизора. Мы надеемся, что Стокгольм покажет настоящее единение людей, сообщество людей, любящих конкурс Евровидение. И, конечно же, мы надеемся, что все вы станете солдатами любви. Мы надеемся создать целую армию солдат любви. Присоединяйтесь к нам. - Спасибо большое за ваше интервью, и удачи в подготовке к конкурсу. - Спасибо вам. Перед тем как группа Lighthouse X отправятся в Стокгольм представить Данию на конкурсе Евровидение, пресса была приглашена на эксклюзивную встречу с коллективом: Круиз по каналам Копенгагена с Сёреном Брегендалем, Йоханнесом Нюмарком и Мартином Скривером. Круиз по каналам начался у здания Национального банка. Команда ESCKAZ вместе с местной прессой стали свидетелями того, как группа исполнила уникальную unplugged версию песни Soldiers of Love. Песня занимает особое место в сердцах участников группы, как объяснил Сёрен Брегендаль: "Эта песня - квинтэссенция группы Lighthouse X. Никакая другая песня не передает наш месседж любви и надежды на лучший мир также сильно, как эта композиция"
"Lighthouse X была создана на вере в то, что музыка может влиять на мир. Музыка может открывать ума и сердца людей всех возрастов, полов и национальностей. Музыка по настоящему может объединять людей. И с этой верой Lighthouse X отправляются в Стокгольм, и хотят поделиться ею с многими миллионами фанатов Евровидения по всему континенту - чтобы все вместе мы стали Солдатами Любви"
25го апреля в 21:00 Москвы группа Lighthouse X даст особенный камерный концерт. Он будет транслироваться в прямом эфире онлайн, что позволит всем наблюдать за шоу в комфорте своих собственных квартир - и абсолютно бесплатно. Во время шоу зрители также получат возможность задать вопросы представителям Дании, на которые они ответят в прямом эфире. Прежде чем Lighthouse X отправятся в Швецию для участия в Евровидении, они приглашают всех поклонников на необычное выступление - камерный концерт. Это будет не совсем обычный концерт, поскольку он будет транслироваться в прямом эфире по интернету. Начало концерта - 25 апреля в 21:00 Москвы, и поклонники группы могут ожидать лучшие хиты коллектива исполненные в камерном формате. Смотреть концерт можно будет по данной ссылке – имейте в виду, что для получения доступа нужно пройти регистрацию. Во время концерта участники группы Сёрен, Йоханнес и Мартин расскажут забавные и мотивирующие истории и ответят на вопросы зрительской аудитории. "Мы с большим нетерпением ждем возможности встречи со зрителями, в этой с одной стороны интимной, а с другой стороны доступной для всех обстановке", говорит Серен Бергендаль. "Это будет интересный контраст по отношению к выступлению на самом конкурсе Евровидение, к которому мы также продолжаем готовиться. В этом выступлении мы постараемся вернуться к своим истокам. Но вне зависимости от формата, наша цель остается постоянной - привности позитивные изменения посредством музыки, потому что мы искренне верим, что музыка может объединять людей, так, как не могут другие способы общения". После победы на DR Grand Prix в феврале, Lighthouse X в сотрудничестве с телеканалом DR приступили к интенсивной работе над полировкой до идеальности сценического выступления коллектива. Команда сайта DR посетила сегодня одну из репетиций группы, проходящих в DR Byen. "Все счастливы", говорит певец Сёрен Брегендаль после последнего прогона нового сценического шоу. Сценический номер, по словам участников группы, стал немного более насыщенным, по сравнению с тем вариантом, что принес коллективу победу в Хорсенсе. "Мы приправили его новыми компонентами, поскольку он смотрелся немного плоско", говорит Мартин Скривер. Группа сохранит светящеиеся микрофоны, которые использовались в Хорсенсе, но запасла в своих рукавах и еще несколько сюрпризов. Увидеть отрывки репетиции Lighthouse X вы можете здесь. Представители Дании, группа Lighthouse X опубликовала официальные ответы на вопросы от своих поклонников, которые мы представляем вниманию наших читателей. - Кто входит в состав группы Lighthouse X? - Мы - Сёрен Бренедаль, Йоханнес Нюмарк и Мартин Скривер - три актера, певца и автора песен с общей любовью к мощной поп-музыке. Сёрен - прирожденная звезда, который выступал со своей бывшей группой C21 по всему миру. С той поры он выпустил альбом как соло-исполнитель и работал как актер в кино и на сцене. Йоханнес также работает в качестве актера в кино, на телевидении и сцене. Он принимал участие в постановках крупнейших мюзиклов в Дании и исполнял заглавные роли в таких постановках, как Les Misérables и Singin' In The Rain, а также в заглавной роли в постановке Alladin студии Disney. Мартин закончил Датскую Музыкальную Академию в 2013 году, и известен как одна из восходящих звезд мюзиклов благодаря своим ролям в The Little Mermaid и Evita. - Как вы объединились в группу? - Мы уже были хорошими друзьями, когда решили объединиться и создать вместе поп-группу. Это произошло в 2012 году. Мы поняли, что мы не только разделяем общую любовь к поп-музыке, но и острое желание создавать музыку, которая несет в себе сильный, позитивный месседж. Так и родилась группа Lighthouse X - из нашего желания создавать поп-музыку, которая бы обладала силой помогать другим, особенно молодежи, и сделать мир немного лучше. - Что обозначает название вашей группы? - Маяк служит путеводным огнем, и для нас это было весьма вдохновляющей метафорой. Мы бы хотели стать путеводным огнем для других, а также поддержать всех тех, кто уже ярко светит сам. То, что мы пытаемся достичь - это изменения, которые нам бы хотелось увидеть в мире. Это не всегда легко, но нам нужно пытаться. Кстати, X - произносится 'ten', а не как буква. Это римская цифра, и мы выбрали ее, потому что, согласно мифологии, она символизирует слияние мужской и женской энергии, баланс и разнообразие. - Какие благотворительные фонды каждый из вас поддерживает? - Сёрен поддерживает страдающих детей и молодежь, которые либо тяжело больны сами, либо недавно потеряли родителей или близких родственников. Йоханнес поддерживает детей с врожденной болезнью сердца, а Мартин поддерживает маргинализованных детей и страдающих избыточным весом. У каждого из нас был опыт, который привел нас к поддержке этих фондов. В детстве Сёрен страдал от тяжелой депрессии и тревоги. У матери Йоханнеса была болезнь сердца, которая очень сильно повлияла на него и его семью. У Мартина в детстве был избыточный вес, и он был жертвой нападок других школьников. Потому мы очень близко сопереживаем этим проблемам, и рады тому, что можем привлечь дополнительное внимание к ним при помощи нашей музыки и наших выступлений. - Как и все артисты, мы черпаем вдохновение в нашей собственной жизни и переживаниях. И, поскольку, мы в жизни многое пережили, то у нас достаточный опыт для наработки материала. Но мы также черпаем вдохновение в борьбе против проблем, которую мы поддерживаем, в наших поклонниках, и вообще всех людях, которых мы встречаем благодаря нашей работе. Каждая искренняя попытка сделать мир лучше - является вдохновением для нас. Конечно, в мире очень много и негативной энергии. Но, без сомнения, в нем также огромное количество позитивной энергии, и каждый раз, когда мы встречаемся с ней, мы пытаемся использовать ее - как авторы, как исполнители и просто как люди. - Как к вам пришла идея подать заявку на участие в Melodi Grand Prix? - Для нас, участие в Датском Melodi Grand Prix и конкурсе Евровидение представляет платформу для объединения людей, несмотря на возраст, пол, этническое происхождение и вероисповедание. И это - наряду с темой конкурса этого года Come Together - идеально совпадает с нашим основным посылом. Потому, когда мы почувствовали, что у нас есть песня, которая подходит и достаточно хороша для этого конкурса, то дальнейшие шаги были очевидными. Участие в Melodi Grand Prix было отличным шагом для нас, оно позволило нам познакомить большее количество людей с фондами, которые мы поддерживаем. - Какова история создания Soldiers of Love, и что она означает для вас? - Эта песня - квинтэссенция группы Lighthouse X. Никакая другая песня не передает наш месседж любви и надежды на лучший мир также сильно, как эта композиция. Это - очень важная для нас песня, и, когда мы ее исполняем вживую, мы чувствуем силу, исходящую от нее. Мы хотим вдохновить всех стать солдатами любви, и это наш военный гимн. - Каковы три наиболее интересных аспекта вашей песни? - 1. Она была написана на следующий день после террористических атак в Париже в ноябре 2015 года. Песня не посвящена им как таковая, но общее чувство печали и отчаяния, которые мы разделяли с другими жителями Европы, привели к желанию написать песню об единстве и гуманности - о том, что нужно бороться с ненавистью при помощи любви. Это - единственный путь вперед. 2. Мы с трудом уложились в крайний срок приема заявок, потому что мы хотели добиться максимально возможного качества песни и ее продакшена. Финальная отмастерингованная версия была выслана нами в тот же день, когда официальный альбом со всеми песнями датского отбора уже подавался в печать. Это было очень сложным забегом на время, и мы рады, что смогли уложиться! 3. Этой песней мы хотели бы просуммировать все, что мы делали последние четыре года. Она определяет философию группы Lighthouse X. Нам нужно большее количество солдатов любви. Это единственное, что необходимо нам! - Какие другие песни Датского Melodi Grand Prix этого года были вашими фаворитами? - Аня Ниссен и ее песня Never Alone, действительно привлекла к себе внимание. Это очень хорошая песня, исполненная действительно потрясающей исполнительницей. Bracelet и их песня Breakaway также была в числе наших фаворитов. - Уменьшал ли давление на вас тот факт, что вы не рассматривались фаворитами Melodi Grand Prix? - Конечно. Но, по правде говоря, мы никогда не воспринимали наше выступление как участие в конкурсе. Прежде всего, мы видели в этом шанс рассказать нашу историю, и исполнить песню, которая нам всем очень нравится. И это помогало нам расслабиться больше, чем любые другие факторы. - Если бы вам сказали за неделю до финала, что вы победите на Melodi Grand Prix и представите Данию на Евровидении, что бы вы ответили? - Мы бы не поверили никому, кто бы сказал нам это! Но, это бы, наверное ничего не изменило. Не зная, что мы можем победить, мы все равно вложили всю свою душу в наше выступление, и это наш общий подход, вне зависимости от того, где и перед кем мы выступаем. - Как вы проводите время после вашей победы? - Эти дни были очень беспокойными, но в то же время радостными. Мы все были очень уставшими, но абсолютно счастливыми. Вся позитивная энергия от подобных побед помогает продолжать двигаться дальше. - Каковы ваши планы на ближайшие месяцы и оставшийся 2016 год? - Подготовка, подготовка и еще раз подготовка! Мы сделаем все возможное, чтобы оптимизировать наше выступление. Помимо того, мы будем давать концерты и продолжим помогать фондам, которые мы поддерживаем. В этом смысле, предстоящий год не будет сильно отличаться от того, чем мы занимались последние четыре года. Мы готовым помочь сделать мир немного лучше, и мы верим в то, что сможем справиться с этой задачей, если мы будем действовать все вместе, а не по одиночке. Потому, мы надеемся, что фан-сообщество Lighthouse X продолжит расти и крепчать в 2016 году. - Будете ли вы продвигать вашу песню зарубежом? - Мы надеемся, что наша песня заинтересует и людей из других стран, и ее посыл распространится как можно шире. Потому, да! Философия группы Lighthouse X универсальна - Дания не единственное место, в котором требуются новые солдаты любви. Всему миру нужна подобная армия. Потому, если мы можем вдохновить наших братьев и сестер в Европе думать своими сердцами, то мы приложим все свои силы для того, чтобы добиться этого. - Планируете ли вы создание еще каких-либо версий вашей композиции? - Если у нас будет время, то мы бы хотели записать еще ее акустическую версию. - Есть ли уже у вас идеи сценического выступления в Стокгольме? - Без сомнения, у нас уже заготовлен один небольшой сюрприз, которого не было на нашем выступлении на национальном конкурсе. Но вам всем придется немного подождать, пока вы увидите, что это! Помимо того, мы чувствуем, что наша задача, просто получить как можно больше удовольствия от нахождения на этой сцене. Сцена - наш второй дом, и потому мы с нетерпением ждем возможности разделить все эти переживания с поклонниками Евровидения по всему континенту. - Чем вы рассчитываете выделиться в Стокгольме? - Если нам повезет, мы будем единственным мужским поп-трио на конкурсе! Но, помимо этого, это не так обычно для песен Евровидение нести столь четко выраженный посыл в тексте, какой содержит наша песня. Потому, мы бы хотели думать, что наша песня и ее посыл настолько сильны, что именно это позволит нам выделиться. - Бой-бэнды никогда не побеждали на конкурсе Евровидение. Что позволяет вам думать о том, что вы можете стать первыми? - Вообще-то, мы никогда не называем себя бой-бэндом. Конечно, это нормально и понятно, что другие люди могут использовать подобный термин, учитывая, что у нас трое парней в группе, и мы играем поп-музыку. Но, честно говоря, мы ощущаем себя несколько старыми, чтобы называться бой-бэндом! Плюс, учитывая проделываемую нами работу, и вообще причину по которой мы основали нашу группу, мы считаем, что нас очень многое отделяет от типичного бой-бэнда. - Есть ли у вас какой-то ритуал на счастье перед выходом на сцену? - Мы встаем вместе, смотрим друг на друга, глубоко в глаза, и обещаем себе получать удовольствие и петь от всего сердца. - Каков наиболее памятный вам момент из истории конкурса Евровидение? - Мы все согласны с тем, что таким моментом является победа Братьев Ольсен в 2000 году. Это был по-настоящему исторический момент для истории музыки Дании. Fly on the Wings of Love - потрясающая поп-песня, и это был замечательный вечер в целом. - Что бы вы хотели передать всем вашим поклонникам и читателям этого интервью? - Cпасибо за то, что вы проявляете интерес к нашей песне и к нашему творчеству! То, что мы смогли поделиться таким образом с вами нашей историей - многое для нас значит. Мы надеемся, что наша песня также послужит вдохновением для вас, и поможет в нашей миссии привести мир к позитивным изменениям. В субботу вечером бойз бэнд Lighthouse X одержал победу на Dansk Melodi Grand Prix с песней "Soldiers of Love". Руководитель развлекательного отдела DR Ян Лагерманд Лундме начал думать о стратегии для Евровидения сразу после окончания шоу. "Я думаю, что у нас удалось шоу, и победила замечательная песня. Самое любопытное, что никто не мог этого предвидеть, букмекеры тоже были шокированы результатом, именно это и делает шоу более интересным", говорит Ян Лагерманд Лундме и подытоживает: "Датчане высказали свое мнение, и решили отправить группу Lighthouse X на Евровидение". 1.563.000 зрителей наблюдали за шоу, что составило долю в 66,6%. У него нет сомнений в том, что три поп-принца отлично выступят на сцене международного Евровидения. "Когда парни на сцене, все любят их, потому что у них потрясающая харизма, их песня современная и запоминающаяся", говорит Лундме. Сейчас начинается наиболее сложное время подготовки к конкурсу. "Сначала они сделают пресс-тур, чтобы поделиться своей песней. Мы также будем работать над оптимизацией сценического выступления. Мы не будем вносить изменения в саму песню, но нужно внимательно взглянуть на сценическое выступление. Нам нужно сесть вместе и обдумать этот вопрос, надеюсь мы все придем к соглашению", говорит Лундме. "Важно быть морально готовым к выступлению перед аудиторией в 100 миллионов зрителей. Но у нас достаточно времени для того, чтобы решить все вопросы". Датский национальный вещатель DR вновь выбирал свою конкурсную песню для Евровидения 2016 посредством национального отбора DR Grand Prix. Его правила были опубликованы 30 июня. Новый музыкальный продюсер DR Grand Prix Cutfather пообещал вернуть конкурс в эту страну, принимавшую его в прошлом году. Cutfather (Мик Хедин Хансен) работал помимо прочих с такими зведами, как Кайли Миноуг, All Saints и Blue. Одной из своих первых задач он считает усиление сотрудничества с датскими композиторами. "В Дании сложилась очень хорошая композиторская среда, профессиональный подход к музыке. Наша цель - мотивировать и привлечь местных авторов к участию в Grand Prix. Нужно объяснить им - что это прекрасная платформа для промоушена и создания реального хита". Cutfather работал над конкурсом совместно с музыкальным продюсером Йонасом Шредером, занимающимся национальным датским отбором с 2013 года. "Я раньше входил в состав жюри национального отбора, поэтому я достаточно хорошо разбираюсь в том, за что будут голосовать люди. Я надеюсь, что смогу найти именно ту песню, которая сможет помочь нам добиться единственной возможной цели, существующей на Евровидении - победить!" Как обычно, помимо приглашенных авторов, часть песен национального отбора выбиралась из числа открытых заявок, принимаемых на сайте DR до 7 сентября. Для участия в национальном отборе либо композитор, либо автор песни, либо исполнитель должны были обладать тесными связями с Данией (гражданством, постоянным местом жительства, родственными связями и т.п). Допускается также участие жителей Фарерских островов. Подаваемые песни не должны быть более 3х минут по длине и не должны быть представлены публично в каком бы то ни было виде до национального отбора. DR должно было быть немедленно извещено, в случае если композиция была опубликована ранее, и принимает окончательное решение о допуске ее до участия в конкурсе. Прослушивал песни специальный отборочный комитет, состав которого не разглашается. При прослушивании песен члены комитета не обладали информацией об авторах или исполнителях песен. Всего в национальном отборе приняло участие 10 песен. DR подобрало исполнителей для них в консультации с владельцами авторских прав. Исполнители должны были быть определены самое позднее к середине ноября. В случае разногласий, мнение DR являлось приоритетным. Названия участвующих песен, имена и др. информация об их авторах были опубликован DR после того, как были уведомлены все владельцы прав на песни, и заключены обязательные соглашения с ними. На Датском национальном отборочном туре все композиции должны были исполняться вживую в формате 'singback', т.е. без живого аккомпанимента, с записанной музыкой и бэк-вокалом. На Евровидении 2016 все вокалы должны быть полностью живыми (не допускается сэмплирование вокалов и т.п.). Запись треков для singback производилась с согласия DR. Всем участвующим артистам должно было исполниться на день эфира отбора по меньшей мере 16 лет. Телеканал DR оставлял за собой последнее слово по всем вопросам производства телешоу и исполнения композиций. Это относится к вопросам оркестровки, сценических декораций, работы камер, света, хореографии, мониторов, телевизионного звука, костюмов, стилистов и т.п. Маркетинговую и пресс работу по продвижению участников национального отбора координировал пресс-отдел DR. Выбранные солисты и группы, принимающие участие в датском отборе, не являлись гарантированными кандидатами на участие в конкурсе Евровидение 2016. DR в консультации с владельцами прав на песни определял, какие солисты и пр. будут приглашены к выступлению на Евровидении 2016. В этом году на участие в Dansk Melodi Grand Prix было получено рекордное количество в 982 заявки, тем самым был побит прошлый рекорд в 872 заявки в 2014 году, когда Дания проводила Евровидение. Количество заявок на участие в DR Grand Prix постоянно повышалось от 200-300 в 2004-2006 годах, до 400-500 в 2007-2010 и до 600-700 в последние годы. Первоначально планировалось, что 10 финалистов отбора будут объявлены 28го января, в тот же день на сайте DR можно будет услышать их конкурсные песни, а официальный альбом Melodi Grand Prix 2016 выйдет в продажу 29 января. Однако, 10 января все песни были ошибочно опубликованы в скандинавской версии Spotify. Вы также можете прослушать их здесь. Вместо этого, DR организовал meet&greet сессию с участниками 13го января в 19:00 Москвы, а ведущие шоу были представлены на пресс-конференции в Bytorv Horsens 18 января в 16:00 Москвы. Среди участников отбора можно было найти Аню Ниссен, ставшую победительницей Голоса Австралии в 2013 году, и выпустившую в этой стране ряд успешных синглов, двух бывших участниц шоу X Factor - Софию Сиглер, занявшую 7е место в 2015 году, и Кристель Лисберг, принимавшую участие в шоу в 2012 году, а также Симон - занимавшую третье место в отборе DMGP в 2010 и 2013 годах. "Конечно, печально, что песни были выпущены ранее запланированного срока, поскольку мы подготовили иную статегию премьеры песен и артистов", говорил руководитель проекта Ян Лагерманд Лундме. "Однако, это ничего не меняет по отношению к конкурсу, поскольку все 10 песен были опубликованы одновременно". Утечку от объяснил человеческой ошибкой. "Все произошло так, потому что один из сотрудников лейбла Sony при подаче ряда данных на Spotify указал 2015 год вместо 2016". Уже не впервые песни датского отбора утекают ранее срока, так произошло и в прошлом году, когда официальный диск конкурса вышел в продажу в некоторых магазинах на три дня раньше, в 2012 году песня Тине Линггорд была дисквалифицирована за раннюю презентацию, и в 2009 году песни также вышли преждевременно. "Я не могу пообещать, что это не повторится, потому что людям свойственно ошибаться. В то же время, я уверен, что в числе этих 10 песен есть будущий победитель Евровидения 2016. Мне кажется, что у нас еще никогда не было подобного сильного отбора". Также возник вопрос с композицией Ани Ниссен, которая публично исполнялась ранее ее автором Эммели Де Форест на ряде концертов в Дании, включая Nibe Festival в 2014 году и еще десятке других мероприятий. Однако, основываясь на современных правилах ЕВС, DR принял решение о том, что это не дает данной песне преимущества на конкурсе. "То, что 2000 человек слышали ее раньше, по нашему мнению, не нарушает состязательности конкурса, и я должен подчеркнуть, что то, что песня исполнялась ранее, автоматически не означает, что она должна быть дисквалифицирована, в соответствии с современными правилами", сказал Лундме. "Мы связались с Европейским Вещательным Союзом, и они вынесли определение о том, что песня может продолжать принимать участие в Melodi Grand Prix, и в случае победы 13 февраля - принять участие в Евровидении. Дания выбрала своего представителя для конкурса Евровидение 2016 во время финала DMGP, который прошел 13 февраля в зале Forum в Хорсенсе, вместимостью 3600 зрителей. Финалы Melodi Grand Prix проводились в нем 4 раза (последний раз в 2008 году), а также в нем проходили концерты Depeche Mode, Нила Янга, Долли Партон и австрийского "короля шлягера" Ханси Хинтерсира. Билеты на шоу (стоимостью 295 крон (ограниченный просмотр) - 395 - 495 - 595 крон) поступили в продажу 2 ноября, а уже 10 ноября они были полностью распроданы. В продажу поступили также и билеты на генеральную репетицию концерта. Ведущими шоу стали Якоб Риисинг, который исполняет эту обязанность с 2014 года, Аннетт Хейк, которая выступала в качестве участницы шоу в 1991 и 2007 годах, а также ее мать Хилда Хейк, участница дуэта Keld & Hilda, из гринрума. Специальной гостьей шоу выступила победительница Евровидения 2012 Лорен. В этом году Dansk Melodi Grand Prix вернулся к системе 2009-2011 годов - финал без баллов. Все зрители смогли проголосовать с самого начала шоу посредством СМС или нового мобильного приложения. Голоса зрителей были просуммированы с голосами жюри из пяти членов по схеме 50-50. Вместе они отобрали, какие три песни вышли во второй и решающий раунд отбора. В суперфинале три самые популярные песни прозвучали снова, и на этот раз только зрители определили итог и победителя - снова посредством СМС или голосования через мобильное приложение. В состав жюри национального отбора вошли: хореограф Вики Леандер, член фан-клуба Метте Торнинг Свендсен, бывшая участница Евровидение Кристина Шани, автор песни-победительницы Евровидения 2010 "Satellite" Джон Гордон и радиоведущий Деннис Йоханнессон. "Нужна песня, которая будет выделяться на фоне других. От ее прослушивания должны создаваться особые ощущения. Слушатели должны иметь возможность сразу подпевать и пританцовывать с ней, или рыдать вместе с исполнителем", говорила Вики Леандер. "Конечно же, песня должна выделяться также визуально, а у исполнителя должны присутствовать шарм, отличный вокал, и горящие глаза". "Прежде всего я буду смотреть на выступления глазами иностранцев, и выбирать песню, которая может понравиться зрителям за пределами Дании", говорила Кристина Шани. "Мелодия песни должна захватывать с первого прослушивания, текст должен запоминаться, и все вместе должно быть в единстве. К хорошему выступлению также обязательны сильный вокал и харизма". Состав жюри был объявлен 9го февраля, и в тот же день президент ОГАЕ Дании Йоханн Сёренсен был дисквалифицирован из его состава. В комментарии газете Metroxpress президент датского фан-клуба заявил, что "Симоне является фаворитом букмекеров и фанатов Евровидения. Также и зарубежных. Она уже принимала участие в нем в прошлом и имеет большой опыт. Зрители знакомы с ней, и у нее есть очень хорошая песня с иностранным звучанием". Также, он предсказал, что Мури и Марио войдут в тройку лучших. "У них единственная песня на датском языке, что дополнительно привлекает к ним внимание. Это - хорошая поп песня, которая может закрепиться на радиостанциях". Датский телеканал DR расценил подобные комментарии как нарушение правил работы членов жюри, и объявил о том, что Йоханн будет заменен. "Произошла большая ошибка, я лишь привел данные о позиции у букмекеров, а также в опросах фанатов", объяснил Сёренсен. Его заменила член жюри фан-клуба Метте Торнинг Свендсен. Скажите, почему мы всегда разжигаем огонь? Почему мы, обычно, закрываем глаза? В чем причина того, что мы продолжаем прятаться? В чем смысл мира, охваченного огнем? И сердца без души?